Free agency began with a bang in Pittsburgh, not a phrase you hear very often, as the Steelers resigned four of their own players and brought in free agent tight end Ladarius Green from the San Diego Chargers. Regardless of how you cut it, there’s been a lot of activity over the past few days, so were do the Steelers stand? Well, here are 4 quick takeaways from the Steelers first week of free agency. 1. The Steelers are NOT acting out of character. The Steelers don’t make “splashes” in free agency. That’s true. In 1969 this franchise committed itself to building through the draft and promoting from within. 6 Lombardy trophies prove philosophy works. But even back when Three Rivers Stadium’s limited revenue constrained Tom Donahoe and Bill Cowher’s free agent budget, Dan Rooney pulled the trigger on big free agent signings. In the spring of 1993, the sky was falling in Pittsburgh over the free agent defections of former Pro Bowler Tunch Ilkin, former first round pick Aaron Jones, current Pro Bowler Hardy Nickerson, and seemingly budding superstar Jerrol Williams. The Steelers wanted Williams back, but when they lost him they signed Kevin Greene. The signing wasn’t the lead story on ESPN that night and didn’t get much coverage outside of Pittsburgh, but when Kevin Greene signed his free agent offer, he became the highest paid Pittsburgh Steeler in history. The bottom line will never win the “Off season Lombardi” but have leveraged free agency to find players that helped them win Super Bowl XL and Super Bowl XLIII. The Steelers pioneered the practice of focusing on resigning your own free agents so inking William Gay, Ramon Foster, Robert Golden and Darrius Heyward-Bey to contracts is par for the course. Making a big, day 1 free agency signing is rare, but the Steelers did something similar just 2 years ago when the signed Mike Mitchell. 2. The Steelers are spending smart, not big. Signing 5 players certainly lends itself to the appearance of big spending. But the numbers tell a different tale. Per ESPN’s Jeremy Fowler, the Steelers have only committed themselves to 11.5 million in guaranteed money, or about seven million less than Ben Roethlisberger’s salary cap hit for 2016. Further more, the Steelers have only added about 10 million to their 2016 salary cap. Looking at the numbers, they almost certainly did. Not a bad business decision for players in their 30’s who’d like another chance to taste Super Bowl glory before they retire. But Ladarius Green’s contract is also team-friend, with only 4.75 million in total guarantees. Even if Green suffers a catastrophic injury or washes out completely, and the Steelers have to cut him this time next year, his dead money hit will only less than Cortez Allen’s 2016 dead money hit. 3. The Steelers are doubling down on offense. Even with all of the injuries and suspensions in 2015, the Pittsburgh’s offense was potent. Assuming “The Triplets” stay healthy, putting Ben Roethlisberger, Antonio Brown, Le’Veon Bell along side Martavis Bryant, Markus Wheaton, Sammie Coates, Ladarius Green and Darrius Heyward-Bey, the Steelers offense in 2015 can become lethal. At least that’s what Kevin Colbert and Mike Tomlin are betting heavily on. I'm starting to have second thoughts about this Ladarius Green signing. Offensive overkill? $ better spent on CB? This isn’t just negative nay saying. As the Pittsburgh Tribune Review’s Joe Starkey points out, only one of the NFL’s top 15 all time scoring offenses has won a Super Bowl. The most recent one, the 2013 Broncos, looked like a juggernaut until they got schooled by a superior defense in the Super Bowl. The dollars and sense would of salary cap decisions, a tight end of Ladarius Green’s caliber probably gets your more bang for your buck than does a defensive back. But the Steelers depth charts at both safety and cornerback are pretty shallow. Beyond that, the Steelers have not come to terms with Steve McLendon, which figures to be another cost-benefit, nor did they offer a restricted free agent tender to inside linebacker Terence Garvin. Like all free agent decisions, these choices are calculated risks. But the Steelers are taking fewer risks with their offensive firepower than they are with their defense. 4. Steelers free agents are getting attention from the rest of the NFL. The all knowing, all seeing Aditi Kinkhabwala of NFL Network tells us the Ravens are eyeing Kelvin Beachum. Beachum’s name has also been linked to the Jets. The Steelers are also apparently looking at the Detroit Lion’s defensive end Jason Jones, per ESPN’s Jeremy Fowler. Take that for what you will. Often times the biggest free agent moves come completely under the radar. Steelers Fullbacks in Flux? Will Roosevelt Nix Cost Johnson His Roster Sport? The Pittsburgh Steelers might have more difficult and more interesting free agent decisions to make in 2016, but none lends itself to such a catchy, if a bit corny, headline. All jesting aside, the “quandary” is real for Kevin Colbert and Mike Tomlin. This time a year ago it looked like a major injury was all that separated fullback Will Johnson from a his first full-fledged second contract. The emergence of Roosevelt Nix however changes things. Or does it. Let’s find out….? In the spring of 2012 Mike Tomlin and Kevin Colbert took a road trip south to attend West Virginia University’s pro day. If memory serves, they were going to scout another player. But a hybrid tight end, running back, and wide out who’d played for four years for the Mountaineers for four years but sat out 2011 without as much as an invite to an NFL training camp caught their eyes. The Steelers brought him to Pittsburgh as an undrafted rookie free agent to play fullback. One of Todd Haley’s first moves as Steelers offensive coordinator was to officially restore the fullback to the Steelers offense, and he tapped David Johnson to make the transition to full time fullback. Johnson unfortunately go injured in preseason; fortunately Will Johnson had impressed the coaches, and started at fullback in his place. As a fullback Johnson doesn’t have a very long stat sheet, although he’s generally been a reliable target on the few times that Ben Roethlisberger (or Charlie Batch, Michael Vick, or Landry Jones) has chosen to throw a pass his way. He’s also rushed 8 times for 14 yards. That’s not terribly impressive, but the sample size is quite small…. A year ago the Steelers offered Johnson a restricted free agent tender, and he was back with the team in 2015, working both at fullback and at tight end. An easy call for me. I bring Johnson back with a cheap two or three-year contract. Versatile, smart and plays a position that’s looking at age issues. And that was before Heath Miller retired. The fullback position is getting harder and harder to staff, and Johnson’s experience at tight end is a definitive plus. The argument for keeping Will Johnson can be summed up, as the headline implies, it two words: Roosevelt Nix. Like Johnson, Nix joined the Steelers as an undrafted rookie free agent, and during the course of the season Nix showed himself to be a capable play maker on special teams, and he performed quite well as a fullback. The argument flows accordingly: Fewer and fewer NFL teams carry one fullback, how can the Steelers justify carrying two? Roosevelt Nix can do what Will Johnson can do, but at a far lower salary cap value, and the Steelers do not have salary cap space to spare. What’s implicit in Wexell’s argument is that Will Johnson return as a tight end. In that light, Heath Miller’s retirement could be a game changer. 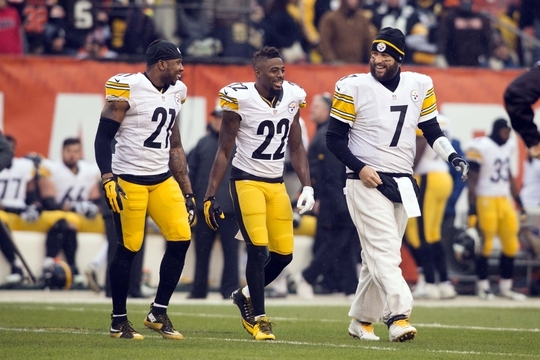 Matt Spaeth is aging and Jesse James showed flashes but has yet to prove consistency. Will Johnson isn’t going to command a lot of attention or money on the free agent market either as a tight end or as a fullback. If the Steelers can sign Will Johnson to a cost effective contract, he could provide valuable depth at tight end while Roosevelt Nix installs himself as a full time fullback. What to Do about Steelers Restricted Free Agent Terence Garvin? The Pittsburgh Steelers might not be entering 2016 with the type of high profile free agent class that Steelers Nation was forced to endure in the 1990’s (think Neil O’Donnell, Yancey Thigpen, Chad Brown etc…. 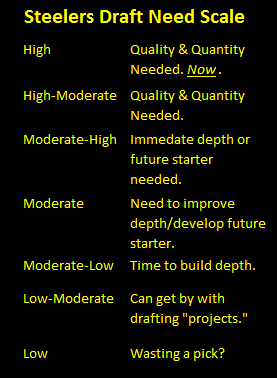 ), but almost without a doubt, the Steelers have some complicated choices in front of them. Steelers restricted free agent Terence Garvin illustrates just how complicated those choices can get. While its true that OTA’s, minicamp’s and other spring workouts are generally much to do about nothing, Terence Garvin proves that events with real news value really do occur during spring practices. Terence Garvin’s phone didn’t ring during the 2013 NFL Draft. He didn’t even get a call from then linebacker’s Keith Butler offering him an undrafted rookie free agent contract the day after the draft. But the Steelers did offer him an invitation to rookie mini-camp. He impressed enough to earn a futures contract that got him a ticket to Latrobe. Garvin did well in Latrobe, and although he did not make the final list of cuts, the Steelers did sign him to their practice squad. But Garvin’s stint on the practice squad was short lived. Then Matt Spaeth suffered a lisfranc injury during training camp, the Steelers put Spaeth on IR and activated Garvin. Garvin dressed for 15 games in 2013, but for the first half of the year he toiled in obscurity on special teams. However, during the later half of the season, attentive fans noted that number 57 would line up with the defense on third downs, replacing Vince Williams. The Steelers had been all but eliminated from the playoffs, the Cincinnati Bengals still had a shot at securing a bye, but Terence Garvin’s hit on Kevin Huber revealed just how badly the Bengals were unprepared for prime time. Garvin also got injured in that game, but he seemed to have a bright future ahead of him. Mike Tomlin called him “a big safety” and he seemed to be ahead of Williams when it came to pass coverage. The Steelers then of course went and drafted Ryan Shazier in 1st round of the 2014 NFL Draft and Sean Spence made a full recovery. Terence Garvin fell off the radar screen of most Steelers fans, but has remained a solid contributor on special teams. 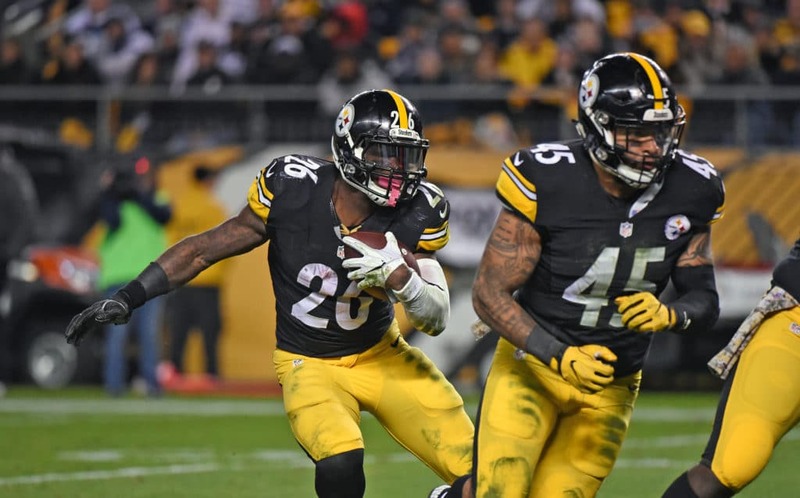 With Lawrence Timmons, Ryan Shazier, Sean Spence, and Vince Williams the depth of the Pittsburgh Steelers inside linebacking corps has been the envy of the NFL for the past two seasons. Garvin has barely been a footnote on that depth chart. That might make him seem like a luxury, but Sean Spence is due to become a free agent this year and will probably depart for greener pastures and Vince Williams will likely follow the next year. Those two facts alone, combined with his steady special teams play, make the case for bringing Terence Garvin back to Pittsburgh. The case against bringing Terence Garvin back to Pittsburgh is a pretty weak one, but it would say that if Garvin dressed to play special teams but couldn’t press Spence or Williams for playing time while Ryan Shaizer was nursing injuries, should the Steelers really settle for 5th best? At the end of the day, the question isn’t really whether the Steelers want Terence Garvin back or not it is whether they offer Garvin a restricted free agent offer. Last year the Steelers offered restricted free agent tenders to Will Johnson, Antwon Blake and Robert Golden even though Golden was seen as little more than a special teams player. Steel City Insider’s Jim Wexell has estimated that the Steelers could not tender Garvin and save about $900,000. There is a predicent for that. The Steelers didn’t tender Stevenson Sylvester in 2013 but still brought Sylvester back. But franchise practice has been to tender restricted free agents, and given future uncertainty at the position, the Steelers will likely do that with Garvin.